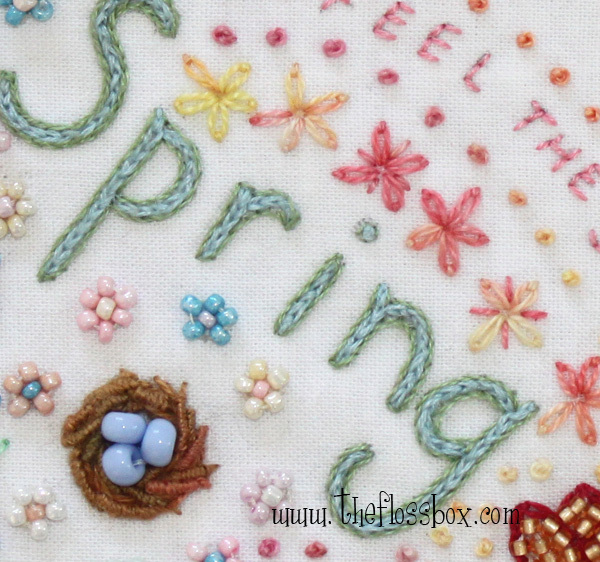 This is my go-to stitch for lines of all sorts - stems, rings, swirls and more. It's simple and relatively quick. I prefer it to back stitch for lines mostly because much more of the thread ends up on the top of the fabric compared to back stitch. 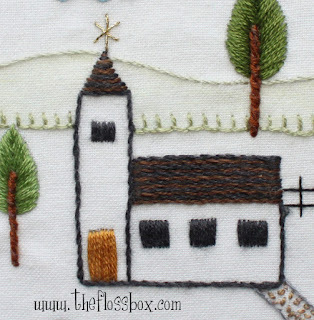 Or it can be made with larger, less even stitches for a line with a little more texture. 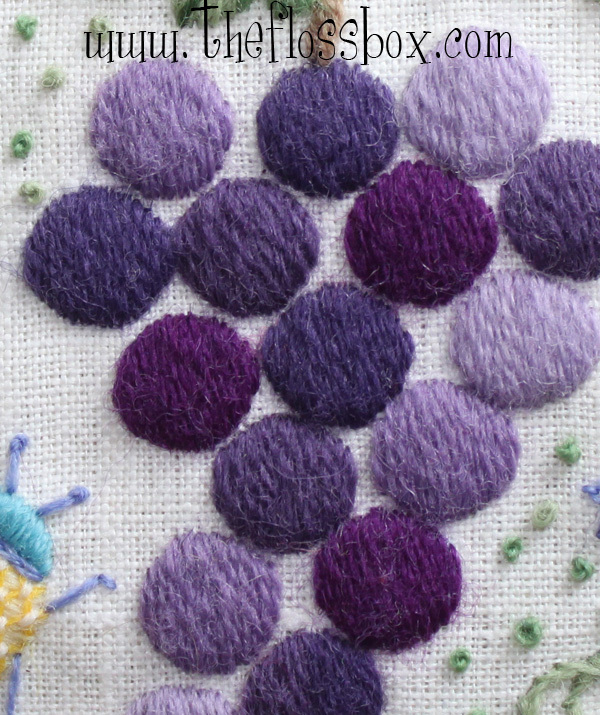 And stem stitches make a great filling when made in rows. I've done this many times on many projects. That should really be padded satin stitch because I love the extra texture a little padding adds. In any case, this is definitely my go-to stitch for fillings. I've made it with 1 strand of thread for a very fine appearance. And I've used all six strands for a chunkier look that has great texture. There is no one right way to do it. Always do it your way! I've made projects that are almost exclusively satin stitch. I just love the stitch! 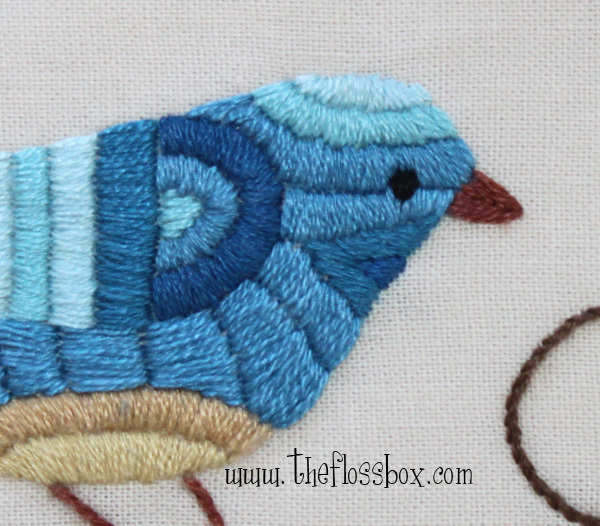 An embroidery stitch you ask? Sure, it is. 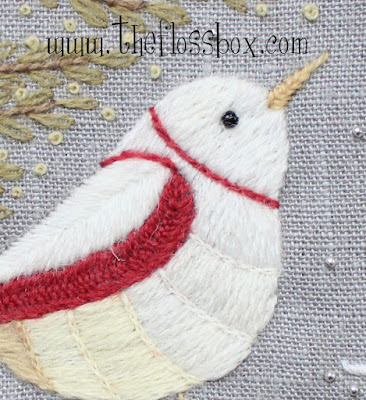 In my stitch samplers I've given many examples of stitches that can have a bead added for interest and sparkle, so a basic bead stitch is simply a straight stitch with a bead attached. Ok! Maybe you didn't need to be convinced, but I do love adding beads to my projects. They are great as berries. And they are always terrific eyes for birds and other creatures. And I do love to add them simple as decoration and texture to my projects! So that sums up my three favorite stitches and how I like to use them. I do have many more favorite stitches, as I said, and I'll be writing about them very soon.